Film review – Page 9 – Neil Baldwin's blog : Warning contains walking, technology, photography, holidays. The film has plenty of things going for it, Russell Crowe and Helen Mirren. I am glad to say that it lives up to its promise. It is about a reporter who is investigating a murder that turns out to have very far reaching consequences. The story twists, turns and keeps you on the edge of your seat. The trailer looked looked like it had the makings of a good film. The soundtrack sounded fantastic. Richard Curtis films can be good (Notting Hill, 4 Weddings, Bridget Jones 1) and bad (Love Actually, Bridget II). The cast seemed to be a fine choice of British actors. 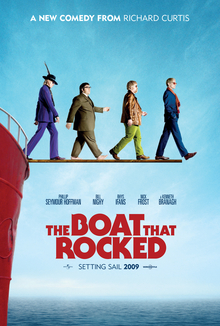 Film is basically about life on board Radio Rock (Radio Caroline), in the 60’s. The film did not live up to my expectations, and just about gets a 3/5. Having said that the soundtrack is great and there are a few good comic moments. The individual performances were excellent but as a whole the film just did not do it. 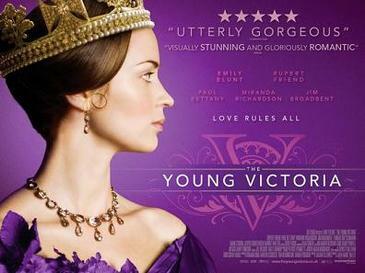 Young Victoria is a film about the first turbulent years of the reign of Queen Victoria. The best thing about the film is the politics and interplay between all the characters. The are some great shots, one where the young Victoria glides across a room with the camera staying the same distance relative, so the background disappears, an effect similar to the famous zoom in and move away shot of a scene in Jaws. then there is a shot if Victorin in a cathedral which is stunning while just being a very drab image. I would recommend this film. The film is about a grumpy old man Walt Kowalski, played by Clint Eastwood, who lives in a run down neighbourhood where most people are immigrants or come from immigrant famlies. He is unhappy with the people in the neighbourhood and his own family. 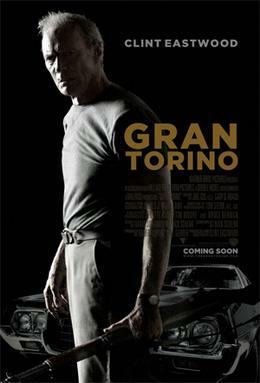 He gets involved with the family next door after the son tries to steal his Gran Torino. It covers many moral issues around religion and racism. It is a great film, made even better by the good storyline. I have added a new category to the blog Film Review I like going to the pictures, and try to go quite regularly. I often can’t remember a film I have seen even a few months later, perhaps old age is setting in, so this will be a way for me to refer back to films I have seen. I will try to do the blog entry just after I have seen the film, by email using the BB. Films will be awarded up to 5 stars. By the way they have started pouring concrete down at the dump site, I will try to get a picture of the machine with a big tube that they use to pump the wet cement. Not I used concrete and cement in the same sentence because I don’t know the difference between the two. UPDATE – Apparently cement is the important ingredient in concrete, it is the fine grey powder that goes hard and holds all the other stuff together.